Cute, but it's little more than a gimmick and we don't really need Warhol inspired pieces like this to tell us how good Zidane was. 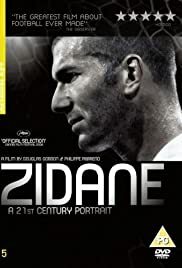 While on paper the idea behind Zidane: A 21st Century Portrait might sound off the wall; 'out there' or quite intriguing, the film is actually a bit of dud. I use the term 'film' very loosely, Zidane: A 21st Century Portrait is more of a 'piece', an experiment as filed by Frenchman Philippe Parreno and Scotsman Douglas Gordon who visit the Bernabéu Stadium in Madrid, home of Real Madrid, and shoot French born of Algerian descent footballer Zinedine Zidane for ninety minutes  the length of a standard league football match. 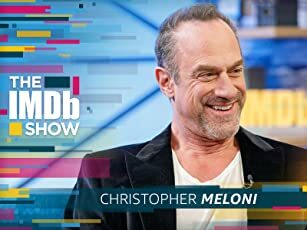 The film is made up of about three perspectives, each one being cut to when the editors obviously assume you've had enough of one or the other. One perspective is the bog standard camera mounted on the gantry as seen through television; another is a ground level camera focusing on Zidane in close up-ish format with the third being from a third person perspective, watching the match on an actual television monitor, pixels 'n' all. Do you remember, or have you even heard of, a function called 'Player Cam'? It's a gimmick BskyB used to run, or perhaps still do, on their Sky Sports coverage that enables the viewer to switch to a certain channel and watch a designated player for as long as the directors choose as a certain camera stays on him. For a lot of people, this will be nothing new or particularly interesting. To be blunt, the experiment doesn't work here. The title of the piece is Zidane: A 21st Century Portrait with 'portrait' being the important word. The makers are trying to create some sort of work of art, some sort of painting or sculpture of a person (Zidane) that they clearly admire and feel should be captured in an artistic manner. It doesn't work through the medium of cinema, and this is the evidence it doesn't. When you go to a gallery, you don't have something like Kubrick's 2001: A Space Odyssey playing, on mute, on a screen in the corner for people to observe for as long as they wish amidst all the other works of art, so why contaminate things that belong in a gallery with things that belong on a cinema screen? Principally, what's wrong is that the two directors can pick and choose which match or performance out of Zidane they actually want to deliver to us. If Zidane had been substituted after fifty minutes in this match or had been seriously injured after ten and brought off, we'd never have even seen THIS particular match/performance/result of the experiment and they would've had to have tried again some other time. Thus, it renders a lot of the 'deeper thinking' ideas displayed in the film a little silly because 'this day' could have been any day. This creates a problem and exposes a flaw in the experiment, the subject of the work of art is free-thinking and unaware of the artist thus every time the artist will attempt to 'capture' the subject, a different result will be the result of the attempt. In simpler terms, when Monet painted 'The Water Lilies' or Da Vinci captured the smiling woman that is the 'Mona Lisa', they had a subject or physical shape that was either set in stone and was always going to look exactly the way it is, it just needed an artist to implant their own style on it, OR they were able to direct a live subject and position the subject as well as capture specific emotions from them in the manner they desired. With footballers, the theory fails. You can never capture a true representation of a footballer because they'll always perform differently in different matches. An example might be German goalkeeper Jens Lehmann. Two matches could be used to 'capture' Lehmann: the 2006 Champions League final in which Lehmann starts the game before committing a foul and is consequently sent off after 18 minutes after much controversy. Then there's the Germany - San Marino match in which he stood in goal and did very, very little for 90 minutes as his team up the other end smack thirteen past a hapless opponent. If you were making Lehmann: A 21st Century Portrait, which do you select to 'capture' the player? Does it even matter? We don't need post-Warhol artists (not filmmakers) to display the 'quality' of certain players in this manner because the exercise is futile and will never capture a 'true' portrait. For all the talk via some subtitles within the piece about thinking outside the boundaries and of the 'bigger picture', there is really very little going. When the directors assume us to be getting a little tired of certain shots or subjects, they'll cut to blinding floodlights as they zone down onto us and at one point, the camera takes an odd detour up some stairs to an upper tier to capture the match from another level. But these are cutaways, distractions from the gimmick that is Zidane himself, captured in all his glory as a supposed artist himself. Additioanlly, the directors get the dramatic finale to the match they probably craved. But where does it all go? Could you feasible make 'Beckham: A 21st Century Portrait'? (who was actually playing in this match) or 'Ronaldo: A 21st Century Portrait'? Or maybe you could mix it up and follow a referee for the duration of a match. Where would it all end and how long would it be until everyone realises what a daft exercise it really is? Not long at all.